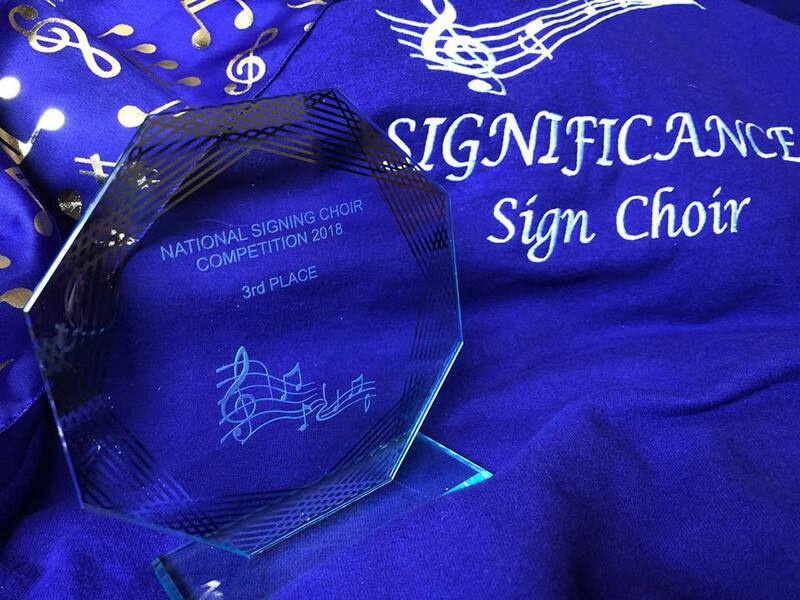 Significance Sign Choir is a sign choir from Bournemouth that enjoy performing at shows and competitions and want to be able to bring the Deaf community and the hearing community together through sign songs. 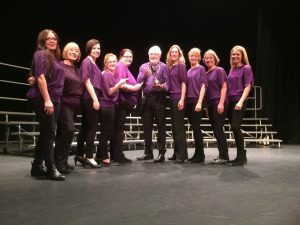 Significance Sign Choir is part of the WDDA and practice at Bournemouth Deaf Club. Many thanks for all your messages of support for our participation in the Jersey Eisteddfod of Performing Arts this weekend! 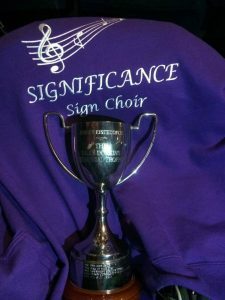 Well, the Billy Dorkin’s best Choir Trophy has been prised from our grasp by Vision Signing Choir, deservedly beating us into 2nd place by 1 mark. 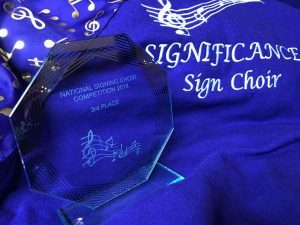 They are a particularly inclusive choir , so many congratulations to them and their leaders! We are justifiably proud of again achieving a performance of Distinction in this section, so cannot be too disappointed! We were inspired by Stef Davis and Liz Linard who won the afternoon ensemble section with a Commended performance against 6 other excellent performances including our own Isobel Heaton, Louise Allen and Jan Clark who achieved a Merit for an innovative and well coordinated performance of Born To Love You, complete with dark glasses and leather jackets! This was followed by an awe inspiring, tear jerking solo performance by Stef Davis, just missing out on an award of Outstanding, again by one mark, but well ahead of the rest of the field of 8 including George Raggett who still managed a performance of Merit. 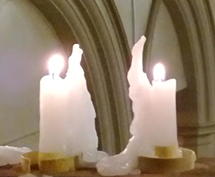 So all in all a great weekend that will inspire and motivate us to maintain and improve our standards as we try and bring signed performances to the attention of yet more audiences in this coming year.